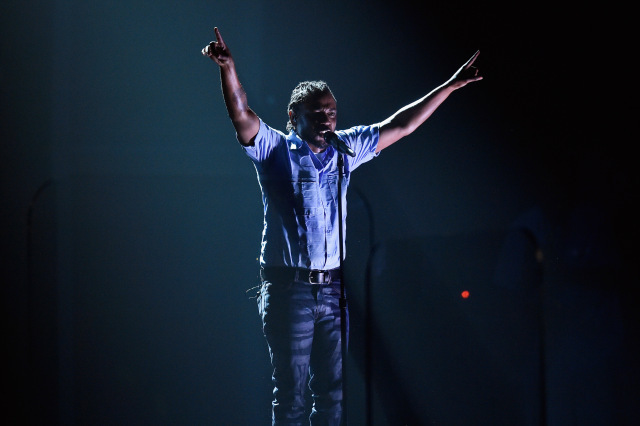 This will mark the first time that Kendrick Lamar, whom Rolling Stone dubbed “the greatest rapper alive,” will write, produce, perform and curate for a major motion picture. Lamar and Billboard Magazine’s Executive of the Year, Anthony “Top Dawg” Tiffith, will curate and produce the album which will feature music from the highly anticipated film including the lead single, “All The Stars,” featuring Lamar and label mate SZA. Directed by Ryan Coogler, “Black Panther” stars Chadwick Boseman, Michael B. Jordan and Academy Award winning actress Lupita Nyong’o. Lamar was hand-picked by Coogler for this first film music collaboration and says he was inspired by the “Black Panther” film. “Marvel Studios’ Black Panther is amazing, from its cast to its director. The magnitude of this film showcases a great marriage of art and culture. I’m truly honored to contribute my knowledge of producing sound and writing music alongside Ryan and Marvel’s vision,” shared Lamar. The platinum-selling, Grammy-award winning artist is one of the most streamed artists in the world with his latest album in excess of two billion combined streams. Fresh off his six wins at the 2017 VMAs, including Video of the Year, Best Hip Hop video, Best Cinematography, Direction, Art Direction and Visual Effects, he is regarded as one of the most important, critically acclaimed and creatively inventive artists globally. Marvel Studios’ “Black Panther” hits U.S. theaters on February 16.